Photo courtesy of Grant Murray. I knew a vegan diet could be dangerous! It was an udder catastrophe. 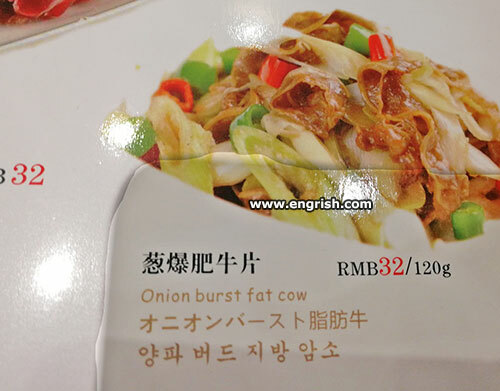 Bring me my onion burst, you fat cow ! That’s why cows all should have horns. So they can blow them, when they are about to fart. To burp is human; to explode, bovine. @DnT 0522. In the old days, when all we had was lanterns for light at night was lanterns, many a Vet. blew himself and a cow up whilst operating at night. All he had to do was inadvertently puncture it’s stomach, to cause one God-almighty Methane CH4 explosion. Moral of the story. Beware of spontaneous cowbustion. EDIT; When all we had for light at night was lanterns. So that’s why they make you cry. Was that onion “wafer thin”? The Outback restaurants serve Bloomin’ Onions, the Outburst Restaurants serve Burstin’ Onions. Not one to order if the waitress is chubby. If it has crispy bacon – count me in. Well, at least we now know for sure that in China the occurrence of exploding livestock isn’t limited to chickens anymore. And I’m udderly confused whether to find this heartening or dismaying…. I’ll let Dr. Lex correct me but if I’m readin’ my Chinese characters right it really says something along the lines of “Oniony Stir-fried Marbled Beef Filet”. Question is, is it REALLY beef? Maybe it’s the cat in the Chop Suey. @Pete | 2:54 pm : The problem starts when they over-filet. As the bull said, as he just failed to jump over the barbed wire fence. So much flying bovine excrement, they thought Donnie was paying a surprise visit. Is that how they make Bovril?